Saturday April 27th, 2019, is the nineteenth annual jazz fest! 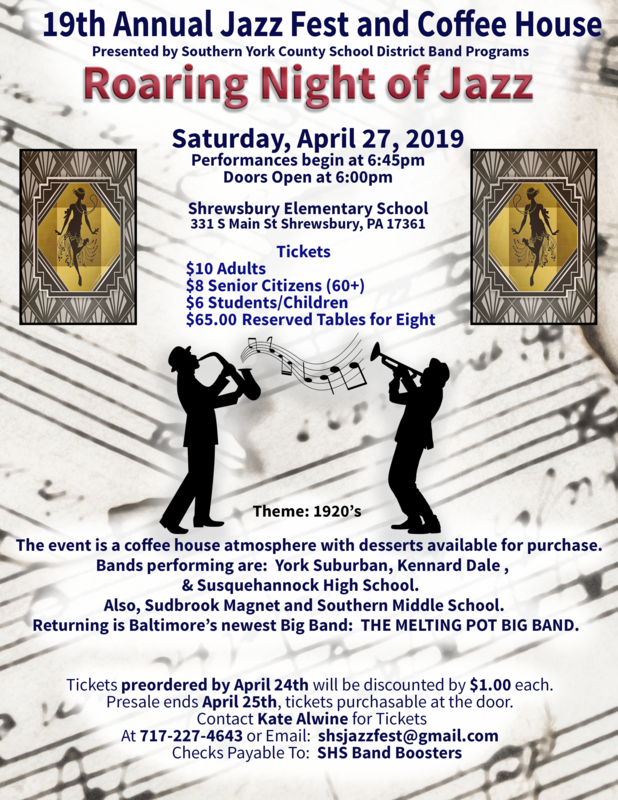 With a coffee house atmosphere set in the 1920’s (costumes encouraged), come out to enjoy a ‘roaring night of jazz’ at Shrewsbury Elementary School. Performances begin at 6:45 PM, doors open at 6:00 PM. Attached is the flyer, you’re encouraged to print and post these around. Share on social media and with your friends!